This company offers a great opportunity to fill in and get a better grasp on often hard to comprehend subjects aimed at high school and college levels. Their fees seem to me to be very reasonable and the courses comprehensive. Sarah from Educator.com. says, "We're a startup e-learning site fit for both the next budding Aristotle or the kid who enjoys learning in his or her own time." Practice with example problems, downloadable slides, and lesson notes. of the Kingdom of God. All that is taught works for the common vision. needs of the individual in a life in accord with Jesus Christ. Ie: To be good and to be virtuous. All flows from this precept versus working within the framework of (modern) Culture. Much wisdom is to be found into going to something old. child that the main purpose in life is to make money. Money becomes the measure of success. Looking back in history the Greeks defined the individual as political beings. The middle ages produced religious beings. Socrates says that the beauty of reason has a greater potential to move the practitioner inward. Man is a being that can turn upward. If the student learns what beauty is, what is good and true, what is love then he will begin to see his own place in the world. pull resulting in a vision of nobility. Spiritual - to know God and love Him. Development of these needs makes a satisfied, intelligent, humane and discerning individual. These are very popular and have branched out to be inclusive of the whole of the US. They are now held in North, South, East, West quadrants. Sounds like you have to be on top of this, as they are very popular and have thrived over the years as a powerful influence and resource! I would say that Kh. Nicole Damick would be the best person to get in touch with for the St Emmelia Homeschooling group. This is an excellent Christian (ecumenical) parent organization and publishing house for campuses of coop-type one-day-a-week classes. http://raphaelschool.org/ - this is a new school put together by an experienced teacher and is something that my family is considering utilizing for my children. http://www.circeinstitute.org/lost-tools-writing - this is not an Orthodox program, per se, but it is created and administered by an Orthodox Christian. 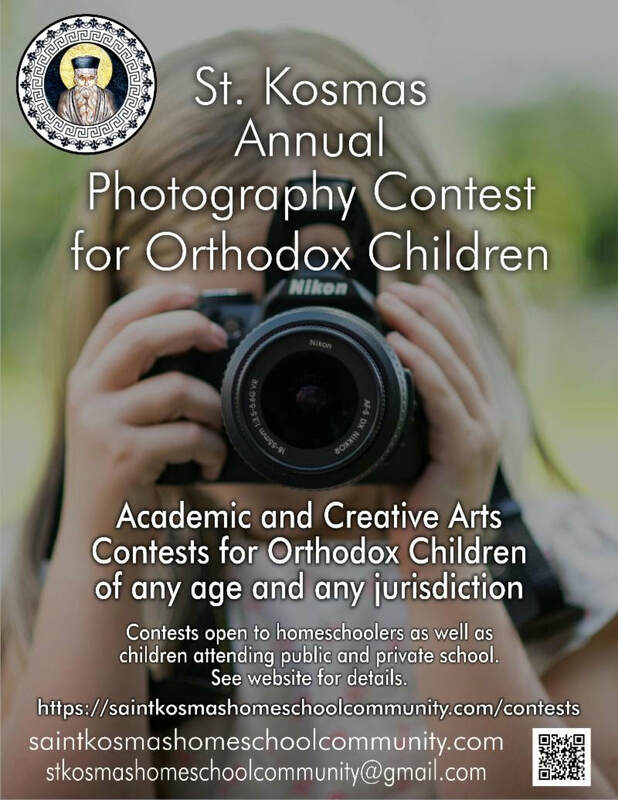 http://illuminationlearning.ning.com/ - this site has a lot of resources for Orthodox education in general and has hosted online seminars in the past. The Antiochian Village Bookstore will now be carrying all of the titles formerly stocked at the Archdiocese! Curriculum now available through this site. Note: The Christian Education materials list and Order Form now available! Download and use this new form to order materials for your parish program! Be sure to see the revised Billing and Shipping/handling sections of the Order Form. Available through Zoe Press at $25 a copy. I talked to different individual's associated with a couple of Orthodox Schools. In each case these people indicated that they would be willing to share their curriculum and text list with those homeschooling. If a school near you is available I would suggest asking if they would share their lists and possibly linking with them which may be to your benefit. I would also not hesitate to call a school that you feel would have good suggestions. 1. Use the Great Books (can be found online) for material choices as often as you can. 2. Pick out in the context of this material human values of good and bad that you see in the characters. Which ones do you like and trust? Which ones make you uncomfortable? Why? As you broaden your base of reading compare characters from one book to another and this will help your child begin to distinguish the characteristics of people around him as well as helping him make choices in friendships. Also important are the facts of the story, the child should retain the information that he has read as necessary practice for putting ideas together. Memorization is very good. 3.Tie as much information together from all of the disciplines as you can . That will help your child to see the practicality and the humanity in the world in which he lives. 4. As the greatest over-riding principle, ask the child to access where God is in what he is doing, reading, studying? What did Jesus say about the subject in question? Activity - Paint hard boiled eggs with Wilton assorted icing colors for a special treat at lunch time. Activity - Use vegetables like this acorn squash to make prints to decorate something special...furniture? Maybe thinking smaller...a book bag, a lunch sack? This site has some wonderful possibilities: subscribe to their newsletter, gifts for the Nativity Season, (See their chocolate St. Nicholas coins, games, books), check out their blog. Sebastian Press also carries a Gift Set that includes a book with lesson plans as well as the ornaments. Check it out! 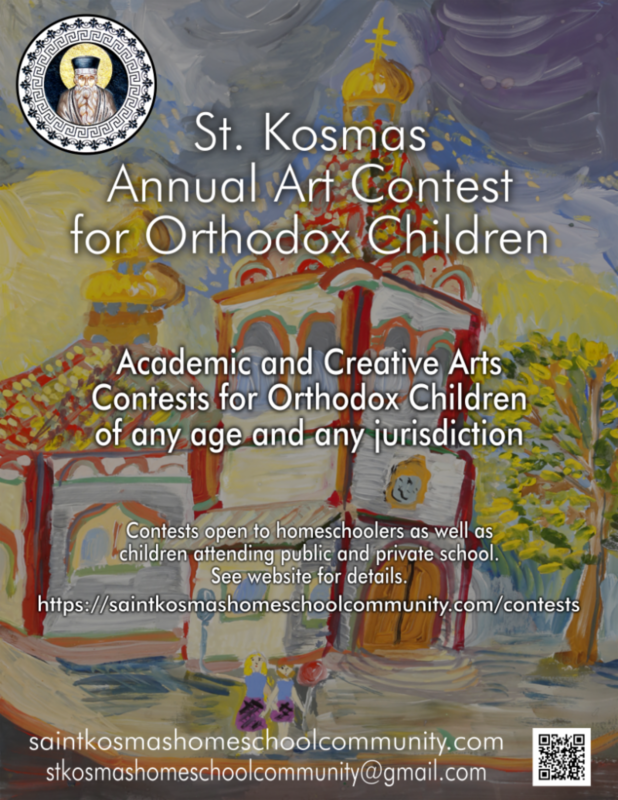 It is organized around the Orthodox Year beginning in September 2017 and ending in August 2018. In the front matter it lists Orthodox Christian Contacts, Assembly of Bishops, Agencies of the Assembly, (Scouting, Charities etc. ), Seminaries and Institutions. Also listed are the Ecclesiastical Calendar, Fasting Guidelines, Daily Prayers, (Morning and Evening), and the Nicene-Constantinopolian Creed. Preceeding each month is a short meditation/informational piece followed by the monthly calendar at a glance. In the weekly calendar format are three thumbnail months at a glance. 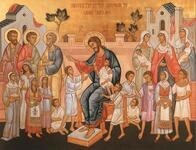 The saints and feasts are listed daily, with Sunday readings and the liturgical calendar designations for each Sunday.. Measures 8.5' x 6". Mailed and shipped to me for $14.59. Discounted. This would be a good daily record keeper for teaching. Thinking I might staple overview material into the calendar when new lessons are introduced. It would be better if it were bigger, and had larger note taking space; but it does offer a lot of material on Orthodoxy that other choices might not have. Please see Blog. Ancient Faith Publishing (Conciliar Press) publishes this fine series by Mother Melania for young children. At $5.95 each it is a great way to build a library for Elementary youngsters on a small budget. Have you ever heard of Kyra Sarakosti? ​ I hadn't until I got an ad for a Lenten Cookbook from Sebastian Press. Sounds like a really cute Lenten project. In this Greek recipe, the chef makes a cookie using flour, cinnamon, salt, with water as needed to create the dough. The cookie is cut out with a knife - a woman with a cross on her head, no mouth and seven feet. Seven feet? Here are the recipe and the ad from Sebastian Press that will tell you a little more. A Publisher of Online (Kindle) Children's Books. Puts out an activities Newsletter for Children if you sign up with them. Activity Cards - SmartyPants, Brain building cards with Questions, Puzzles, and Games- can your brain come out and play? 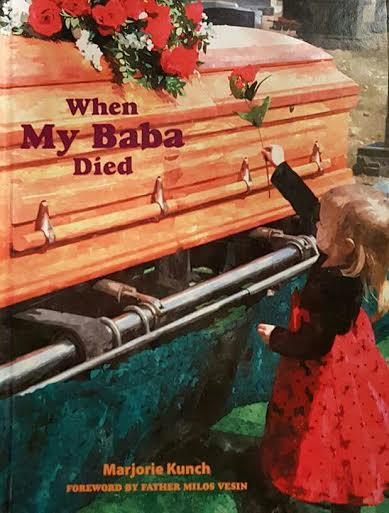 When My Baba Died, and When My Baba Died, Activity Book; Pascha Press, ,www.paschapress.com written by Marjorie Kunch, Funeral Director, includes a story and activity book directed toward helping a child deal with grief, questions and process surrounding the death of a loved one within an Orthodox Funeral setting. "The Orthodox Church excels in reinforcing this concept of remembrance, with our various services dedicated to deceased loved ones. This celebration of life culminates in our Bright and Glorious Pascha, the ultimate fulfillment of the promises of our Lord. So many times the answers to questions children and adults ask can be found within the Church. This workbook is meant to be a companion to the title When My Baba Died, a tool to reinforce the concepts presented in a gentle way. To help children begin their own journey of grief accompanied by the comfort of you, the helpers in their lives, and the comfort of Christ." Majorie Kunch's book follows the mainstream practice of funeral procedure in the United States, incorporating embalming and preparation of the remains in a funeral home setting. Also used by some Orthodox Churches is the method of washing the body and preparing it for burial through funeral guilds within individual Orthodox Churches, incorporating the methods used in "A Christian Ending", by J. Mark and Elizabeth Barna. (http://store.ancientfaith.com/general-books/). If your church uses the procedure outlined in "A Christian Ending", some material will not apply in your situation. In this case, perhaps the purchase of the activities book will be most helpful, as the portions that do not apply may be omitted and portions that will be very helpful, can be incorporated. Thanks to Marji for these titles on an important topic.